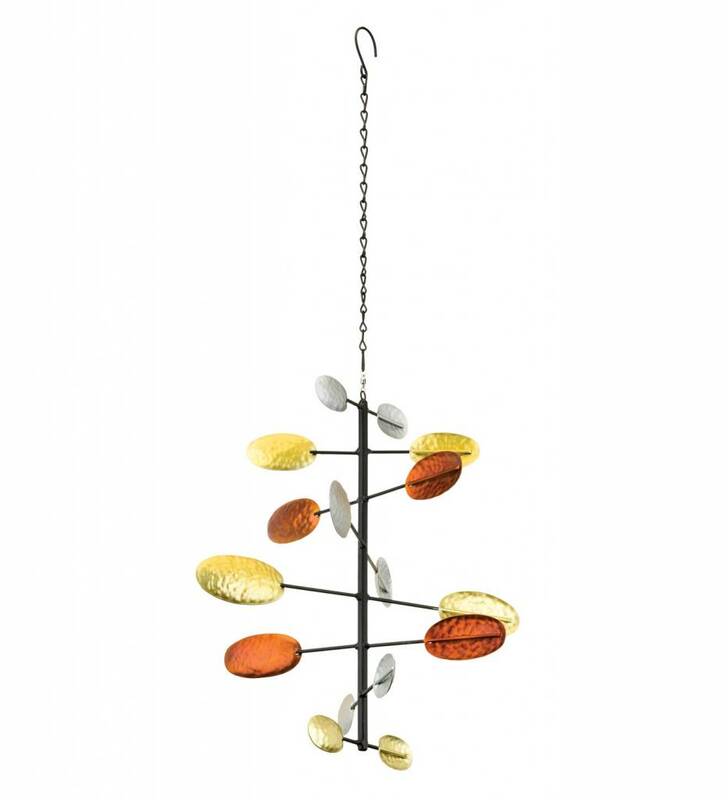 These multidimensional hanging spinners have metallic finishes that glisten in the sun. Special bearing connectors make it possible to spin even in a slight wind. 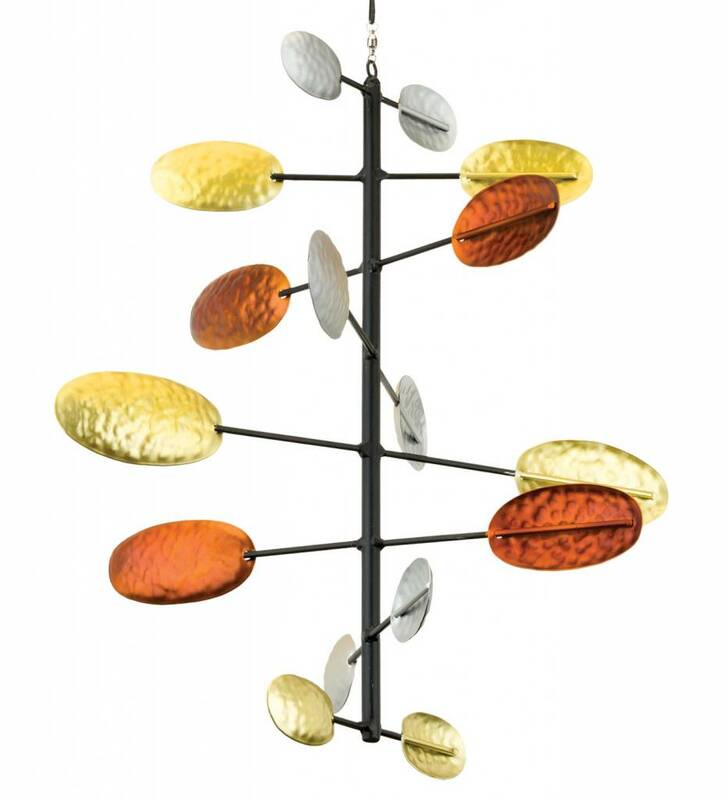 Comes with 15" chain that hangs from a porch or tree.